SMOOTH SOLES - Award-winning and five-star rated pedicure device, battery operated. Power Up! Electrically powered device, no batteries required. 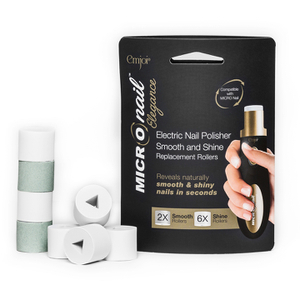 THE PERFECT AT HOME PEDICURE DEVICE -Rechargeable and portable, it’s got it all! Micro-Mineral Rollers! 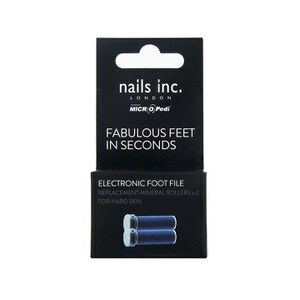 Removes the roughest and toughest skin from feet in seconds. Compact and Colourful! Pop this in your make up bag for wherever you go. Gently buff away hard, rough skin on feet. 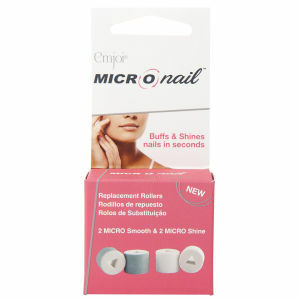 Emjoi MICRO Pedi is a truly innovative device created to smooth dry, rough and cracked skin on the feet. 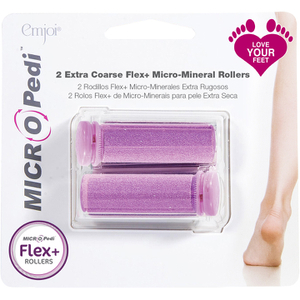 The unique micro-mineral roller safely, gently and effectively buffs away hard skin on the soles and heels giving immediate, lasting salon results from the comfort of your own home.